Shine bright by effortlessly accessorizing with bright and brazen single hued accessories like this sensational XL necktie in mermaid green. 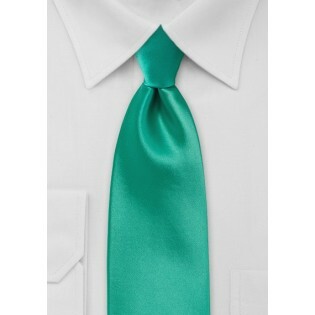 The satin finished necktie glistens with a soft shine that looks ultra luxurious and fashionable. 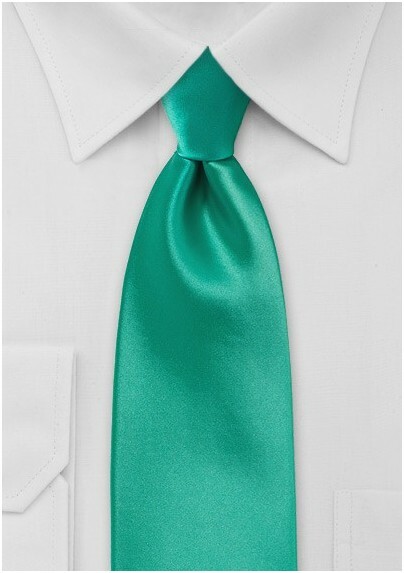 Stand out from the masses by pairing this electric mermaid green tie with a patterned dress shirt, a two button lightweight grey blazer and dark rinsed denim jeans. Crafted from one hundred percent durable, stain resistant microfiber. Designed by the Puccini Fashion Label.